This past week in New York City, a cobra was wandering the mean streets. Lost, alone, and apparently armed with a smartphone as she tweeted about the people she supposedly met and places she visited. Now that she is safely back in the safety of her home at the Bronx Zoo, she should pause and give thanks that she wasn’t slithering around in a different city – one that views the world’s most venomous snakes as fodder for happy hour. Throughout many countries in Southeast Asia there’s a long tradition of combining poisonous snakes like cobras (which account for the majority of the 50,000 deaths by snake bite per year) and alcohol to make a variety of potions reputed to cure a laundry list of health issues. Like the snake oil salesmen of past eras, these elixirs are supposed to enhance virility and sexual performance, increase strength, cure baldness, improve vision, stave off disease and illness, and contribute to overall health. The concoctions are known by many names, from snake wine to pinyin, and can be found in Vietnam, Singapore, Thailand, Taiwan, and even some places in mainland China. In fact, Taipai, a city in Taiwan, is famous for its Snake Alley, where several vendors allow visitors to choose their own snake. These are generally Asian cobras of varying size and age – the bigger and older ones command a significantly higher price, presumable because they contain more blood and poison. Once chosen, customers can watch the snake be butchered alive for their drinking and eating pleasure. Entire restaurant menus actually revolve around this practice, delivering multi-course feasts from just one or two snakes. 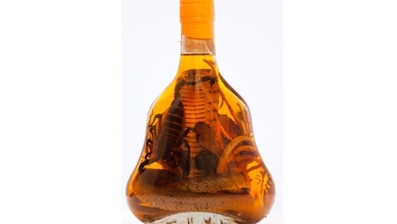 i just saw you website on Google, and I already bought these on http://www.buy-snake-wine.com but i wonder where to find other snake related products, any idea ?